Just as last year, we’ve received some great tips and advice from ASQ’s Influential Voices bloggers on “surviving”–and making the most of–conferences and events. 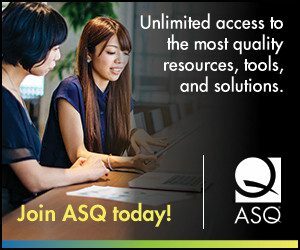 This may come in handy if you’re attending ASQ’s upcoming World Conference on Quality and Improvement in Dallas May 5-7, or any other professional events. If you are going to the World Conference, be sure to follow the events on Twitter with hashtag #WCQI14. And if you are not attending, you can stream the keynotes live this year, which is a great e-learning opportunity. 1. Prepare and follow up. Do research on relevant sessions and speakers before the conference and follow up with new contacts afterward, says ASQ blogger Tim McMahon. 2. Take photos! ASQ blogger Lotto Lai suggests taking lots of photos so you have a souvenir and a reminder of what you’ve learned and who you’ve met. 3. Talk PDCA and root cause. 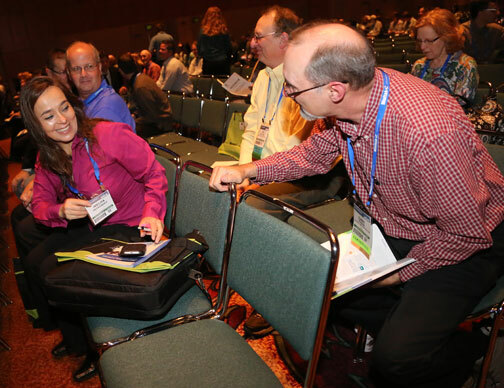 ASQ blogger Jennifer Stepniowski notes that you can “talk shop” with conference-goers. Where else can you chat about quality with the person in the Starbucks line? Take advantage of this opportunity! 4. Follow the conference on social media. That’s the advice of Influential Voices blogger Bob Mitchell. This year again, there will be a live Twitter feed at the World Conference in the exhibit hall. And, we’ll be live tweeting keynote speeches and live blogging about daily events (as mentioned above, you can live stream the keynotes and follow the conversation on Twitter. Hashtag is #WCQI14). 5. Keep your schedule full. 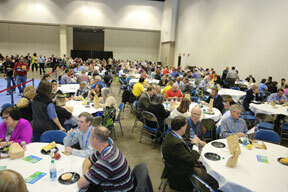 You should always have something going on at the conference, says ASQ blogger Dan Zrymiak. Attend the “must see” events but make time for sessions and speakers outside your industry. You’ll learn a lot. Do you want to share your conference advice? Leave a comment on this blog or email social@asq.org. We’ll compile feedback in a future blog post.